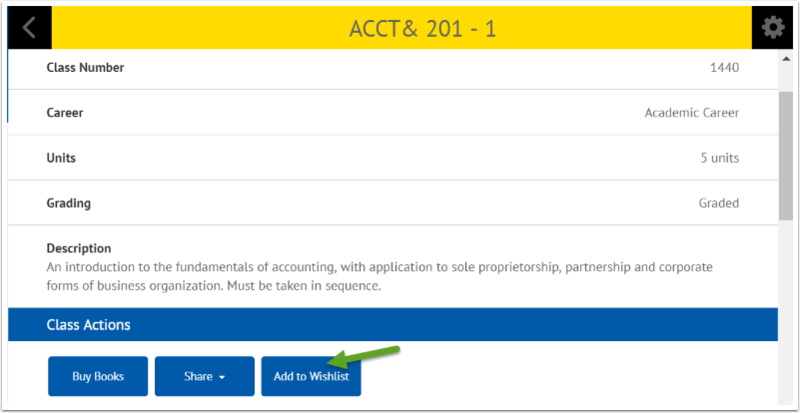 Purpose: Use as a reference for how to add classes to your Wishlist using the college Mobile Application. 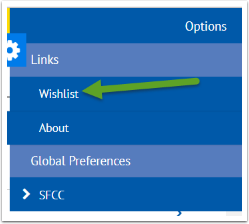 The Wishlist is a place for you to save classes when you are not logged into the mobile app. You can move them from the Wishlist to your Planner or Shopping cart once you have logged in. 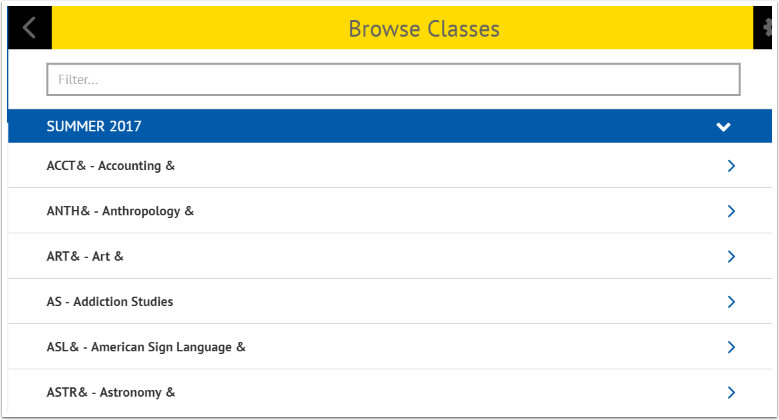 Go to your college dashboard and click the Browse Classes tile. Choose a Section if there is more than one available. Click the Add to Wishlist button. Click the gear in the upper right corner. The class is available to move to your shopping cart or delete. Classes on your Wishlist will appear once you login to the mobile application.